This was the easiest vacation I have ever booked. Everything for our trip was arranged by Pete and we did not experience any problems at all with the arrangements. The resort room was excellent and in a perfect location, the travel and ski equipment rentals were perfect. We have always booked our own vacations, but after dealing with Pete, I won't do it on my own again. This was definitely the way to go. He was great! He even sent condition updates the week prior. Very easy to work with, professional and attentive. (How likely are you to recommend us to family, friends, and coworkers?) Definitely will recommend... Pete helped us plan a fantastic trip. He rocks!! Very helpful, very knowledgeable. We got to meet Pete at Whistler while we were there. Nothing was missed, we had to make a few last minute change and it was all taken care of. Pete was awesome, no waiting in lines for our tickets, everything was at the front desk at check in, condo was perfect, had everything we needed. He was always very prompt in responding. (How likely are you to recommend us to family, friends, and coworkers?) Definitely will recommend... Very helpful, prompt service. Proficient and helpful - we knew what we wanted, he just had to complete our wishes, which he did with no fuss. We have had great service from you in recent years. He was terrific. responsive and worked with me. Pete was very accommodating and gave excellent advise. I have already recommended him to other friends of mine. (How likely are you to recommend us to family, friends, and coworkers?) Definitely will recommend... Communication was excellent. Pete is the man and will do anything to make sure we enjoy ourselves. (How likely are you to recommend us to family, friends, and coworkers?) Definitely will recommend... Ease of booking, clear instructions on check in and out. Great service, and very quick to respond. Multiple options were not a problem with Pete, took care of our needs effectively. good stuff. Great service - quick response time. Made it easy without having to deal with over stimulating options and endless advertising from orbitz or similar. (Would you book another ski vacation with us again?)... Yes. Excellent service. (How likely are you to recommend us to family, friends, and coworkers?) Definitely will recommend... Great trip. Advice from our agent was spot on for the lodging and flights. Always like to work with Pete. (Would you book another ski vacation with us again?)... Yes. You are easy to work with, and I like that. It makes my job so much easier to know that someone knows what they are doing. The best!! Great to work with - nice guy!! (How likely are you to recommend us to family, friends, and coworkers?) Definitely will recommend... Pete was so easy to talk to and work with which made the whole setting up, go smooth. Have used him a few time and every time, it's been perfect... I was just sorry he could not join us the sloops this time. Pete was very helpful and sent us all the information we would need along the way. It's hard to know what to book for a place you've never been. Getting the extra help from someone who understands the needs of the sport is extremely helpful. (Would you book another ski vacation with us again?)... Yes. I got to know Pete. He's a good kid. He's patient & I kept changing my mind & he hung in there. They helped me decide what options were right for me. (How likely are you to recommend us to family, friends, and coworkers?) Definitely will recommend... I was guided easily through the process, given several options that fit my requests. (How likely are you to recommend us to family, friends, and coworkers?) Definitely will recommend... Everything that we were told that was included was indeed accurate. Pete Kondak always got back to me in a reasonable timeframe to address any questions or concerns. Very prompt getting back to my emails or phone calls. Documents sent in a timely manner. Very clear instructions/directions. Pete was very accommodating and professional both times we used him I will definitely use him again. (How likely are you to recommend us to family, friends, and coworkers?) Definitely will recommend... Peter always does an excellent job never an issue. (How likely are you to recommend us to family, friends, and coworkers?) Definitely will recommend... Pete was patient and helpful in creating just the right package for my son and I to steamboat. I have worked with many companies and the service and competitive pricing wins me over every time. Friendly without compromising his professionalism ,quick to respond, knowledgeable. (How likely are you to recommend us to family, friends, and coworkers?) Definitely will recommend... Everytime I had a question or request something to be changed, it was taken care of. (How likely are you to recommend us to family, friends, and coworkers?) Definitely will recommend... Great customer service and responsive. He is very patient and tries hard to find the best deal for your budget. (How likely are you to recommend us to family, friends, and coworkers?) Definitely will recommend... Always helpful and recommendations work out very well. (Would you book another ski vacation with us again?)... Yes. I have always gotten what I needed with no hassles. Pete is awesome. I have used him personally for several years. (How likely are you to recommend us to family, friends, and coworkers?) Definitely will recommend... Tours De Sport has always provided exactly what I needed. (How likely are you to recommend us to family, friends, and coworkers?) Definitely will recommend... Pete was helpful, professional, prompt and personable. We had a wonderful trip and can't wait to go back again! Pete was great. He even responded after normal working hours to answer questions and make sure our requests went through. Has been an amazing asset every year for ten years. Great guy, really helped identify our needs. Very, very helpful. Responded to all my question/quotes very quickly. 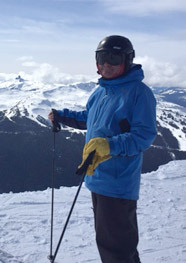 Pete is super friendly and knowledgeable--I would definitely go through him again to plan another one of our ski trips!! (How likely are you to recommend us to family, friends, and coworkers?) Definitely will recommend... The price and accommodations were great--this was our second time going through Pete!! Always helpful year after year. (How likely are you to recommend us to family, friends, and coworkers?) Definitely will recommend... Pete Kondak is easy to work with and we always like the set up. (What comments or suggestions could you make to help us improve your next ski vacation?)... We were very pleased with the offerings and with Pete's level of service. At this point, we have already booked another vacation with him and plan on booking more. Great! Both on the telephone and written correspondence. Easy to use process. Pete was always available and even helped us immediately when we had a problem with our car rental. Pete was very responsive and helpful. Pete was great to work with, answered all of our questions patiently. Absolutely, I would call Pete. I like my travel plans to be as easy as possible and he delivered. I was very happy with the discount I received as well. Pete was easy to speak with, picked up the phone when I called, answered my questions. He took care of everything! Pete made everything easy, I gave him the details and he took care of everything. I was happy with the discounts offered as well. The ski lift tickets and rentals were at the hotel when we arrived. I will call Pete again if I plan another trip. I guess I had good help. Pete was efficient especially in our emails or when I called him. Very knowledgeable. I would recommend and use this agent (Pete) again. He offered to get any additional things added to our package to make it as easy as possible for us. Pete was very friendly and always available to help. The price and accommodations were great--this was our second time going through Pete! Pete was helpful, professional, prompt and personable. We had a wonderful trip and can't wait to go back again! Pete is very patient and tries hard to find the best deal for your budget. Pete was patient and helpful in creating just the right package for my son and I to steamboat. I have worked with many companies and the service and competitive pricing wins me over every time. Peter responded to my questions quickly, courteousness and patiently. 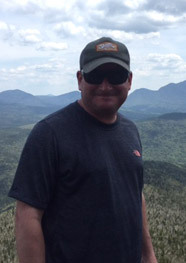 This is the 2nd year that Pete has assisted with our ski vacation, and we have been pleased with his efficiency and the quality of our airfare, shuttle service, and lodging. Pete was always available and returned my calls when ever I left messages and also found answers to my questions. Pete was fantastic! Very responsive and incredibly helpful - definitely would not have been as smooth of a trip without him! Pete was very thorough and professional. Pete was quick and efficient and found us a good deal. Always responded quickly. Pete was extremely accommodating to my requests and promptly replied to my inquiries. Pete was knowledgeable about resorts in the area, good rates and was able to provide me insight as to how best prepare for my trip. Pete is always a tremendous help and makes everything so simple. I look forward to working with him with on ALL of my ski vacations! Always! Such a pleasure! Pete has been very prompt and reliable year to year. Great to work with! 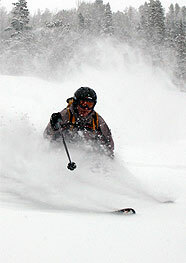 Pete is extremely knowledgeable with the ski area and the resort. In addition, he is very responsive and efficient. It was a great pleasure working with him. Good customer service from Pete. Peter was extremely helpful, knowledgeable, and personable. Pete was great. I asked him for several quotes and it never took more than 10 minutes for him to send the quote. Very accomodating. So happy! Pete was awesome and always accomodated and answered every question and concern we had with courtesy, professionalism and efficiency. Pete made it so easy to plan and handled all the details that would have made it harder for me on my own. Will definitely be using Tours de Sport in the future. The price was fantastic and exceeded my expectations. Pete came through with what he offered and I will trust him with my next ski vacation. Extremely helpful and a pleasure to work with. I definitely would, because everything was handled so smoothly. Very good resource for quick and easy booking. Very helpful to get a quote prior to actually booking. Pete did a great job in getting everything we needed. Pete, sure knows Steamboat...excellent, personal contact with any questions immediately answered. Thanks to Peter's help and guidance, we enjoyed our vacation very much! Pete was very helpful when I was making the reservation! I highly recommend this company and love how I could book the entire weekend getaway with them! Third year in a row Pete has helped me! Pete was very patient working with us and kept trying until he was able to find us what we were looking for. You were able to offer an excellent deal (espesially during Christmas time). I had some changes and he made it happen. Even my husband said he would recommend with very high praise. (Pete) was very nice, Helpful. Great Experience with no complaints whatsoever. We had a great time. Happy with what we got and the price. Happy to have used you guys and for Pete to look after us so well. Very Helpful to me as I had to make a few changes and Pete was on tip of it. I got everything I asked for. Thank you. Pete was extremely helpful and polite. He was able to explain to me every peice of information I was concerned with. He booked us a great room, we had a great time! The service was excellent, very responsive and gave us many options to consider before we firmed up. Pete was very helpful in answering questions and putting a suitable package together for us. Very helpful, gave us many options to consider before we firmed up. We had a great time. The White Buffalo Club was just right- close to restaurants and transit to ski. The staff was great. All around fantastic. Thanks Pete. 2nd time booking with Pete. I'll call him again. Thanks. Pete made booking everything so easy, and we've always been very happy with the lodging he's found for us. This is our third year of working with Pete. He's been terrific!! Pete was very helpful and knowledgable. Also, when we had to change the dates he quickly found an alternative that actually worked out better for us. This was our first time in Beaver Creek and we couldn't have had such a great vacation if it weren't for Pete! He helped us from beginning to end -- excellent service throughout. Made it so easy and all the information was accurate. Pete was very personable, quick, and efficient. You did a great job with the location of the condo I rented. The quality was better than I expected. Keep doing what you are doing! I will definitely use you again!!! Everything was completed in a timely manner and all questions were addressed and taken care of. He also made extra effort to find condo accommodations. Pete went out of his way to ensure that my husband had help in transferring on arrival in Detroit to the departing for Salt Lake CIty connection. We would not have made our connecting flight. Very easy to use; Pete provided advice on the phone that was very helpful. Excellent experience overall and will certainly consider booking again. Pete was excellent in helping to plan our trip. He was also very helpful and responsive in making modifications to our original plan. It was great to met Pete and ski with him for a day.We had a great time! Will do it again. I was very happy with the recommendation that I received from my travel specialist. Pete was very professional and he quickly responded to every inquiry we had. I had to make a few changes and there were some wrinkles and Pete was very willing and able to work with me. 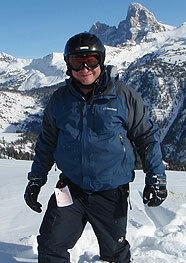 Having never booked a skiing holiday before, Pete was very helpful and made it easy. Pete helped me pick our destination and lodging. He knocked it out of the park! Pete was so helpful, we had great vacation because he found us some great deals. We booked with Pat for our 3rd or 4th time and he was as amazing this time as he was the first time, Always super polite, helpful and knows the answers to all our questions. Pete Kondak's awesome! I was impressed with the service and found the whole process very easy. We will book earlier next time, now that we have an expert who can get us such great deals. We would definitely book with Tours de Sport again... our entire trip was flawless. Excellent planning for our budget. Exceptional knowledge of our needs. Quick to reply. Pete gave us very accurate and honest vacation package. One of the best to work with to plan a ski trip. Pete was highly responsive and efficient. Pete was great helping us find the right place for us at Winter Park and got us a great deal on a condo we all enjoyed greatly. He was excellent and our trip was very enjoyable. Pete was very quick to respond when our original cabin was unsatisfactory and was able to upgrade us to a beautiful condo which met our needs. He was professional and courteous. Pete was great to work with and really hooked everything up perfectly!! He recommended Breckenridge to us and he said we would love it and he was right! We will def use him for our next trip! WOW! What an affordable and easy trip to book, it was last minute and price checking proves that Pete gave us the most bang for buck! Thanks! Both Pete and Teton Mt. Lodge staff were outstanding. Pete was great answered all my question in a timely manner. Peter was great and so was the vacation. Pete was wonderful and so was the company. Pete was very accomidating when I added an additional traveler. He changed the room reservations without a problem. Had a fantastic experience dealing with Pete. The planning started early in the summer, and he was very patient and accomodating to our family's needs. Pete was great to deal with. Always returned my calls very quickly. Very polite and professional. Trip was terrific. No problems with anything. Would definitely book another trip with Pete. Pete did such great job listening to my needs he got me a great vacation. Explained the process and the timing of the documents to follow. Helped with getting an early check in while I was out skiing. Pete is very knowledgable, listens to what we are looking for in a family vacation. Very prompt with answers to inquiries. I just wanted to thank you for your help in getting us relocated and upgraded to a better condo in Big Sky this past weekend. Your prompt response back to me and your persistence with dealing with the manager at the Summit hotel was impressive (especially considering it was Friday evening on the start of a holiday weekend). The Black Eagle condo that we were upgraded to exceeded our expectations and we could not have been happier. The condo was modern and beautiful. The views of Big Sky from the condo were amazing! We would return to those condos in a heart beat. You turned around what would have been a disappointment into an amazing resort experience for all of us. 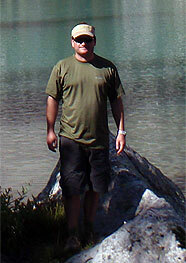 Pete, was very well versed in what was available and kept the trip within my budget. I will look to use your company's services in the future, thank you for an enjoyable experience planning my vacation. The experience was excellent, as I stated before Pete was very helpful and easy to work with for all our needs on this vacation. Pete was very helpful and accomodating. Pete was great and Lance also Very thorough and professional:-), Excellent value and service. Pete rocked our socks off!! Loved the accomodation, we had no problems getting checked in and getting our lift tickets. Can't wait to plan another trip through Tour De Sport!! Great website! I have told my entire ski club about it and all my friends. Super easy and friendly. Extrememly quick response to requests. Pete Kondak was responsive, thorough, and delivered on what he promised. Pete was very helpful and gave us a great ski package that we were very pleased with. We will be calling on our next trip!